This is not just about us. You are here because you want to have your leather sofa cleaned and re protected. Well you have come to the right place. We will make your leather sofa look great once again. 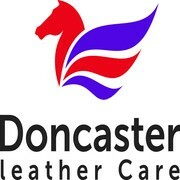 With a huge amount of training behind us Doncaster leather care is the go to place in Doncaster for all your leather cleaning and repair work. We are a local family firm living and working in Doncaster. We are not a cheap splash and dash firm that pays for local advertising on Google or Bing. That does not mean that we are expensive either. We use the very best products on your valuable leather furniture to be sure that we don’t damage it. Most of our work comes from personal recommendation. Our clients recommend us because we are highly trained in what we do and offer a great local service for a very reasonable price. Our leather cleaning work is 100% guaranteed. Doncaster leather care can deal with all your leather issues. From a deep clean and the very important re finish (protector). Through cat scratches and rips and cuts. We can do everything from matching is a faded arm on your chair or sofa to a complete re colour. In fact a complete leather sofa recolor is very popular. People like their sofa but sometimes want a change of colour to match the new décor. We can do that, and it not expensive!